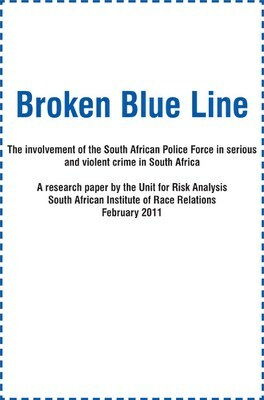 South Africans have become accustomed to media reports alleging the involvement of policemen or ‘people dressed in police uniforms’ in serious crimes. The Institute and its Unit for Risk Analysis have become increasingly concerned at the number and nature of these reports. To try and determine the scale of the problem, the Institute assigned a researcher to source as much information as possible on the involvement of police officers in committing crime. The results were alarming. The Institute consulted journalists, media reports, and information from the Independent Complaints Directorate (ICD). Within a week, a list of over 100 separate incidents alleging and/or confirming the police’s involvement in serious crimes was drawn up. The Institute’s researchers stopped looking for more incidents after compiling this list of the initial 100. This report provides an analysis of these 100 incidents and proposes a number of policy interventions for the Government to consider. The Institute has been encouraged that the administration of President Jacob Zuma has done away with much of the crime denialism that characterised the Mbeki era and also that General Bheki Cele seems sincere about re-instilling discipline and order in his police. 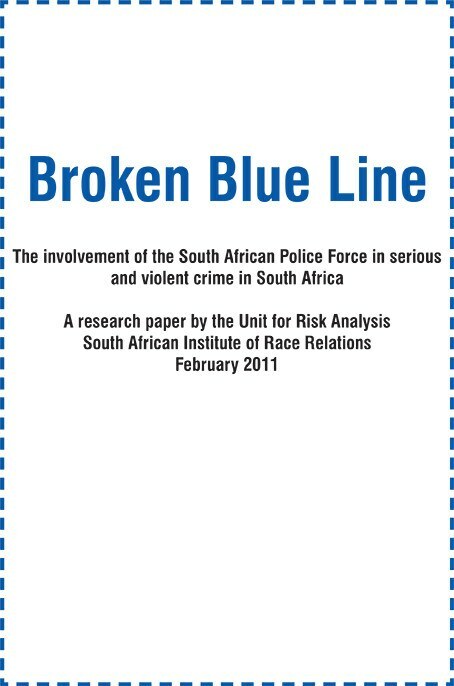 This report is conceived to capitalise on these positive developments and to support legislators and the police in making better policing policy in South Africa. The report will be made available to MPs, MPLs, the South African Police Force, and the media. Top tier Institute subscribers can log in to download the report below. Other users and interested parties may purchase the report online.